Magic history is long and scattered across different cultures, only partially recorded and with a large corpus still to identify. 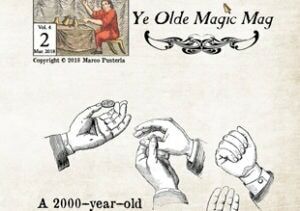 This issue of Ye Olde Magic Mag presents, in worldwide exclusive, a late Medieval manuscript containing the explanation of some magic tricks, among which the first cyclic card stack in history! 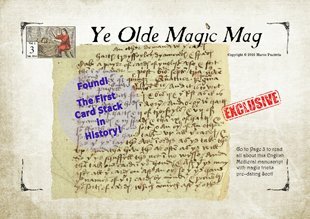 This special issue is completely dedicated to a long article, by Editor Marco Pusterla, about an unknown manuscript compiled before 1536 (almost half a century before The Discoverie of Witchcraft, by Reginald Scot), explaining a few magic tricks in their first recording in the English language. 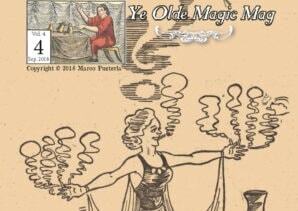 The June 2016 issue of Ye Olde Magic Mag will be available for download and purchase on 1 June. The print edition of Volume 2 issue 3 is 56 pages long, with no adverts. Only a few printed copies are still available, as the magazine is printed in a limited number sufficient to satisfy our subscribers. The digital version, in PDF format, will be available on 1 June 2016. 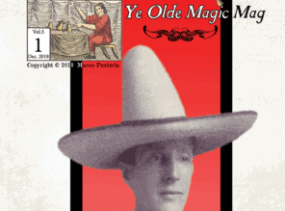 Our regular feature Auction Action shows some of the most unusual and important magic items that sold at public auction in the past quarter, including rare magic posters, amazing automatons, antique magic books and more, accompanied by numerous photos. 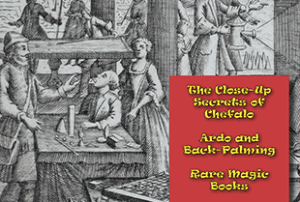 The printed edition contains an exclusive insert: a specially made reproduction of the magic tricks in the medieval manuscript, not available separately! All this and more in the third issue of the second volume of Ye Olde Magic Mag! This issue contains almost 23,000 words and, once again, is available as a Download (contact us for the download) and in printed format, for the most distinguished collectors. Due to changes in the European law on VAT on digital products, if you live in Europe, you cannot automatically buy ONLY the digital copy of the magazine (you still get it free when buying a printed copy), but you will have to Contact Us to receive a PayPal invoice and the download link. Sorry for any inconvenience. As we don’t have the technology to verify if you live outside of Europe, if you want to buy ONLY the digital issue, please Contact Us. The Digital Issue no. 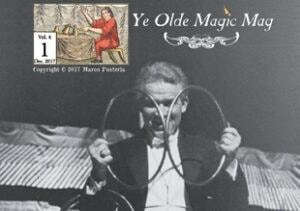 3 of Volume 2 of Ye Olde Magic Mag is 4MB in size, has 45 pages and it contains almost 23,000 words. Download your copy now! 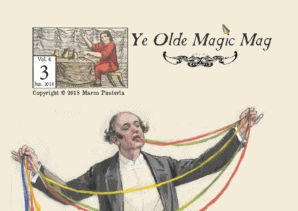 Ye Olde Magic Mag is the first fully-digital magazine on Magic History and on collecting magical memorabilia, edited and published by Marco Pusterla, M.M.C. A quarterly publication, it is available in a small number of printed copies, all individually numbered and signed, for real collectors. The printed version (56 pages long) gives access to the digital one and is shipped post-free worldwide! 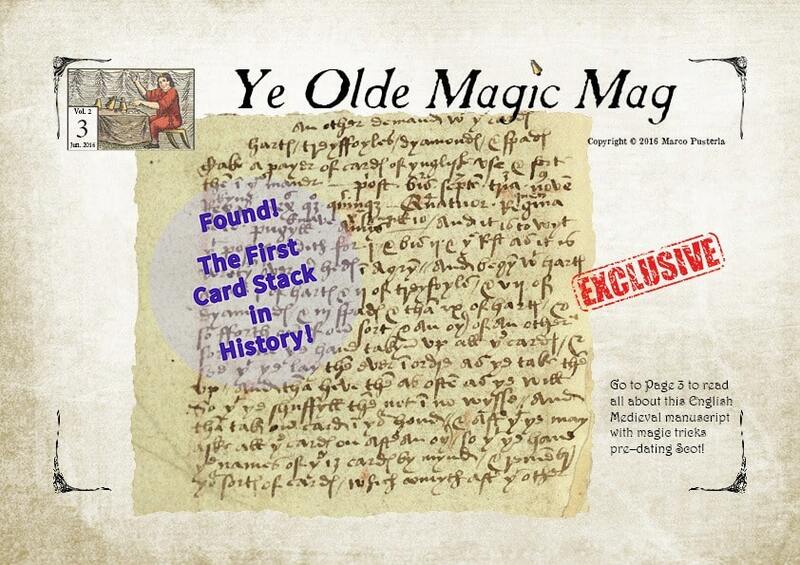 With the printed edition there is a small magical collectible, something exclusive to Ye Olde Magic Mag. You cannot reserve a number as they are assigned sequentially when you order a copy. If you prefer, you can subscribe to the magazine with a PayPal recurring payment.